Would you like to receive a proposal? Our client, an FMCG producer in the process of optimising its budgeting policies, approached us with a request for a report on the market for temperature-controlled transport of goods. PMR experts recommended expanding the project to include dedicated tools that would enable the client to conduct independent analysis – thus extending and deepening the conclusions prepared by PMR analysts– but also allow the client to improve the process of managing relations with transport service providers. In particular, this would allow the client to reduce prices and to decrease the risk of cooperation (e.g., a provider going bankrupt during the contract period). A sector report – comprised of a comprehensive, up-to-date overview of the industry, forecasts concerning the key sector indicators vital to the budgeting process (as selected by the client) as well as specific suggestions about the market. A data analysis tool – comprised of more than 50 key economic indicators for the assessment of the road transport sector’s financial condition, in particular, temperature-controlled transport. A tool for assessing financial condition and likelihood of insolvency – for 25 transport companies selected by the client. A tool for independent analyses – specific to the road transport sector; after entering current data, the tool calculates forecasts for selected indicators (using an econometricmodel prepared by PMR’s analysts). identify opportunities for negotiating price reductions. PMR Consulting offers advisory services tailored to our clients’ individual needs, such as securing a strong market position, identifying competitive advantages or optimising operational costs. We conduct top-notch international consulting projects for companies interested in CEE, SEE and CIS countries. 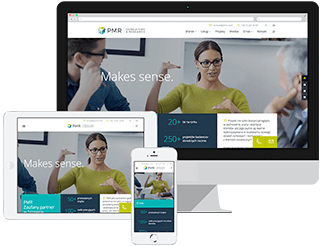 PMR Consulting is a specialised branch of PMR, a British-American company providing business publications (PMR Publications), market research services (PMR Research) and consulting services (PMR Consulting).